So you’ve accidentally spilled something on your laptop. What will you do? Well, it can happen to anyone. 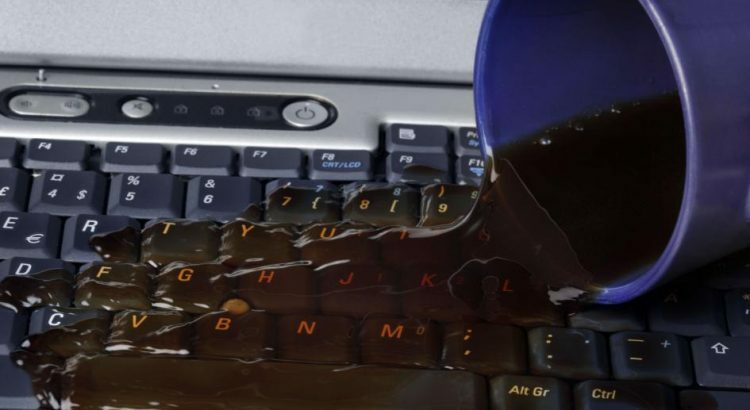 A liquid damage is the worst nightmare of a laptop user, it can happen due to a glass of water, a cup of tea or coffee, and other liquid spills. A big spill doesn’t have to ruin your desktop or laptop if you take immediate and appropriate actions. A few proactive actions which may help you to protect your data. Unplug all the power sources quickly and turn the laptop completely off to decrease the chance of electric shock. If you are unable to shut it down normally, press the power button for few seconds to shut down the laptop forcefully. Don’t turn your laptop on until it has been deemed dry by a professional. Remove each and everything that is detachable including the power cord, battery, USB devices, the memory, and other peripherals you have plugged in. It can prevent damage to external accessories, speed up the drying process, and keep your data safe. Some laptops are difficult or impossible to open. To deal with it, you may call a computer repair technicians, instead of repairing it. Lets gravity work in your favor! 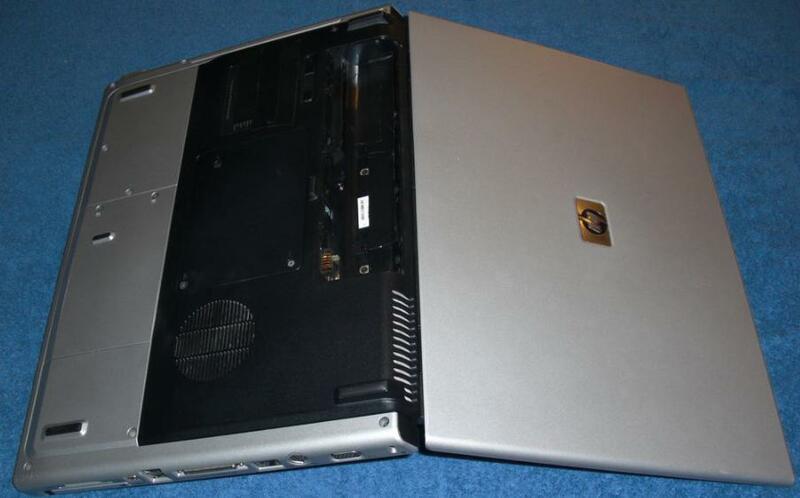 Open the laptop and turn it upside down in an inverted “V” shape in a warm area. This will prevent the liquid from seeping further into the laptop. Leave the laptop case open wide, so, the liquid doesn’t drip onto the screen as it drains out. Avoid pressing buttons, it can lead to dripping liquid inside the computer. Take a clean, lint-free cloth to wipe down the keyboard and other wet areas of laptop. This handy tissue paper is thin as well as the most absorptive material. So it can reach down into gaps and around your keyboard to absorb the liquid. If you spilled some sugary drinks like coffee, juice or soda; you should use slightly wet cloth to wipe down the laptop before drying it with a dry cloth. 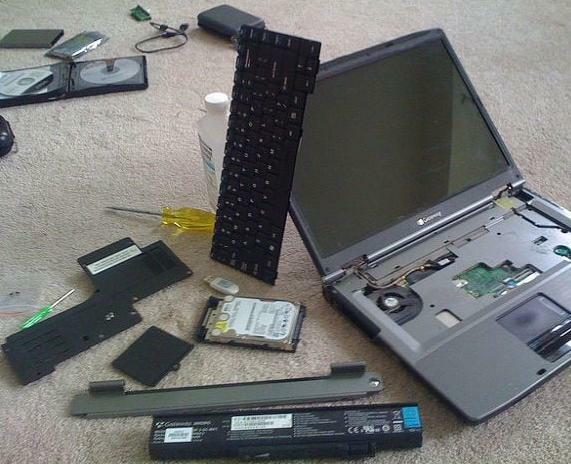 Sometimes, liquid damage is critical enough that, no matter what you do, your laptop won’t turn back on. At this point, laptop needs to be disassembled for drying and cleaning. Hiring Support Nerds, a local laptop repair services, can be safer and more reliable option. Our nerds will be able to analyze the damage and assist you to backup your data if laptop is accessible before starting the repair. Today, most of laptops have featured with spill-resistant keyboards, sturdy internal frames, and wear-resistant exteriors. So, a liquid spill isn’t a death sentence for your laptop, but you still need to be very careful about the liquid spills. Call us today for any assistance. We are here to transform your soggy laptop back into a fully functioning laptop. Do you have a laptop liquid damage story? Share it with us in comments..